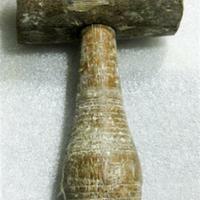 Very well used mallet. 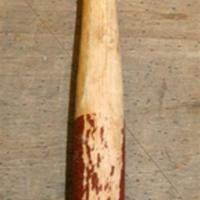 he mallet has a short handle. 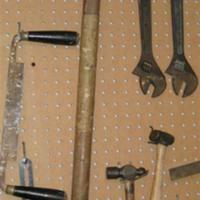 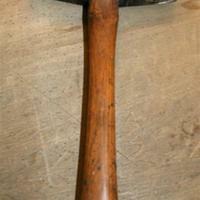 Steel mallet with wood handle.